Published April 16, 2014 at 1000 × 750	~ Post a comment or leave a trackback: Trackback URL. Many thanks to T. Sundrup for capturing this perfect moment. License details: http://creativecommons.org/licenses/by-nd/2.0/de/deed.en / No modifications made. You’re a very talented photographer. You have a knack for capturing the true joy of your subject. 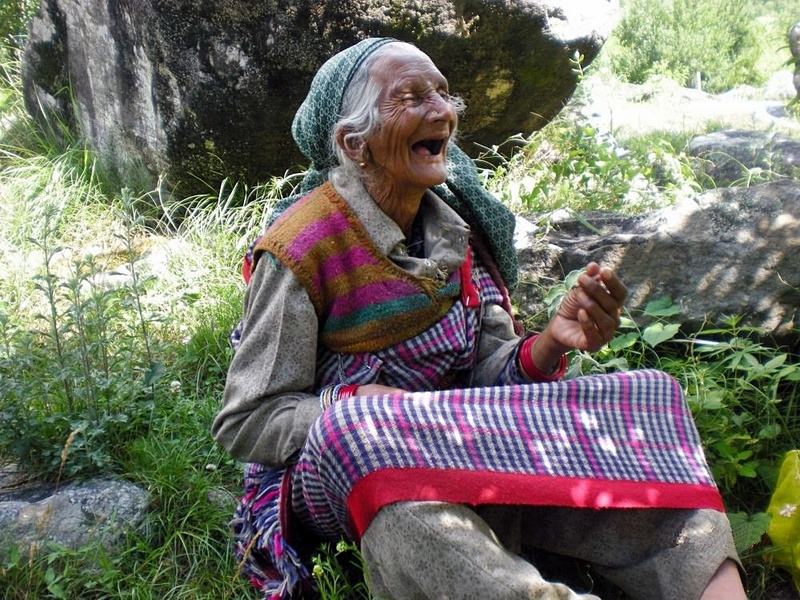 If only I could be this joyous when I reach this woman’s age . . . Thank you for commenting Karen – and who needs teeth anyway? A laugh from the depths of the soul. What a wonderful image. Beautifully expressed Don; and thank you so much for viewing these photographs. Actually, she does look off her face doesn’t she? I should be so happy at a any age. Thankyou Robert, and yes, she truly is a delight to behold. I get the feeling she knows many an old secret. 🙂 Her laughter is surely contagious. Thank you for sharing; she’s beautiful through and through. My own thoughts entirely too, and thankyou for making your appreciation known Maryrose. It took me a while to figure out how to comment; I am computer-challenged most days. 🙂 It is such a great photograph; I love photographs of women (and men) that show the spirit of their souls written upon their faces. It is as if their life story is begging to be told and we will definitely enjoy their words on living. You have succeeded in your intention. 🙂 I look forward to hearing the whispers from them which you penned. Take care, you matter. Blessings for a great weekend. Amazing! I can’t stop smiling while I look at the picture.